"Sprinkle with finely chopped pecans and serve with ice cream or whipped cream." In a medium saucepan over medium heat, bring rice and milk to a boil. Reduce heat, cover and simmer 25 minutes. Stir in maple syrup, lemon zest and pecans. Pour into serving dishes and chill until set. 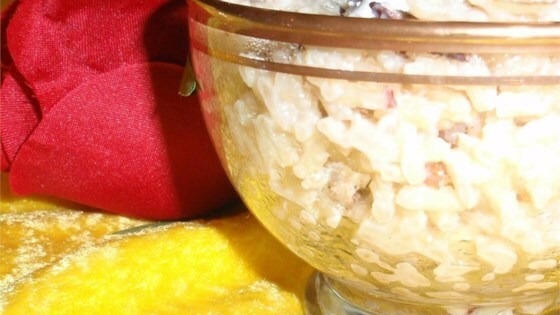 a nice little twist on traditional rice pudding. I really liked it!